When will I get my order? 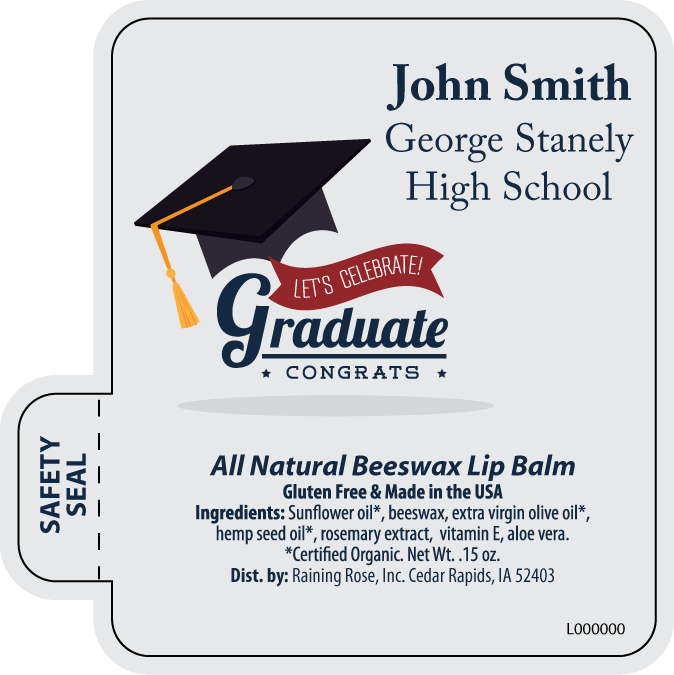 : Orders are processed in 1 1/2 weeks (7 business days.) Then refer to this map (Click here for map) to calculate the additional shipping time. Your favors ship from Iowa. 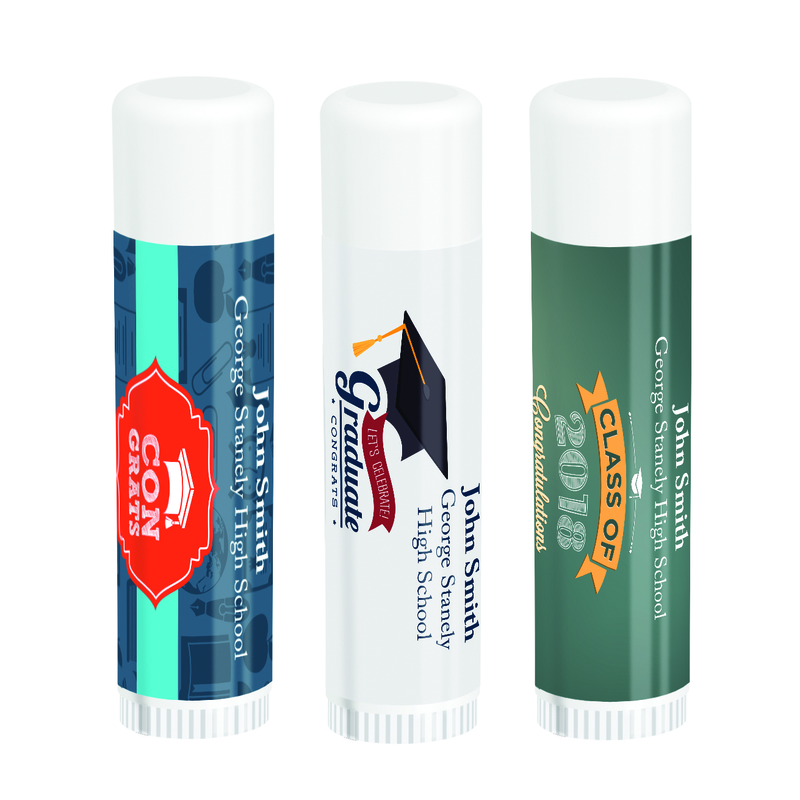 Don't you wish everyone offered graduation favors as fun and useful as personalized lip balm? Made in the USA, from a well-respected lip balm company, these high quality lip balms are sold and re-branded for spas. 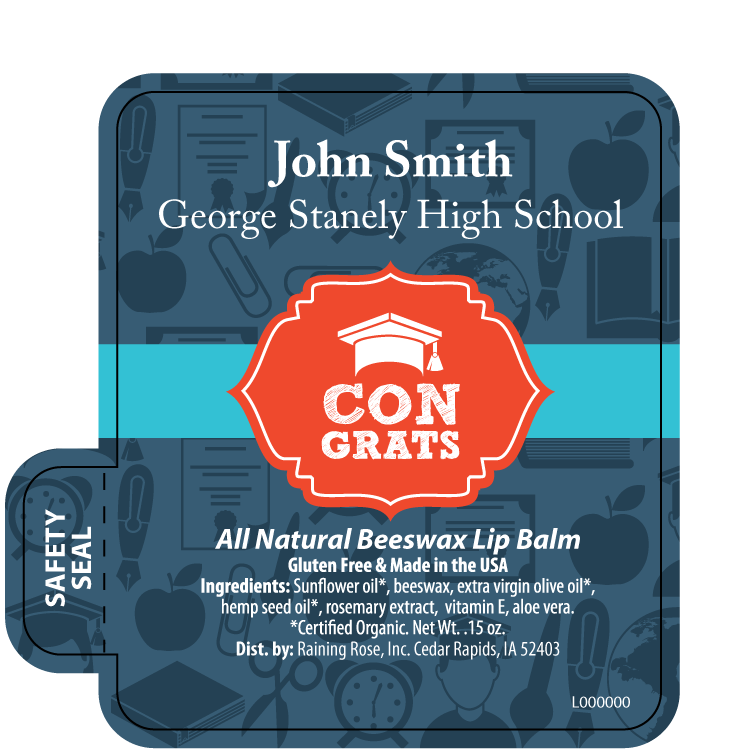 The exclusive formula contains beeswax, organic sunflower oil, vitamin E, organic extra virgin olive oil, aloe vera and other natural ingredients. *The chocolate mint, caramel latte, and vanilla coconut also contain a bit of stevia. This product is also gluten free! 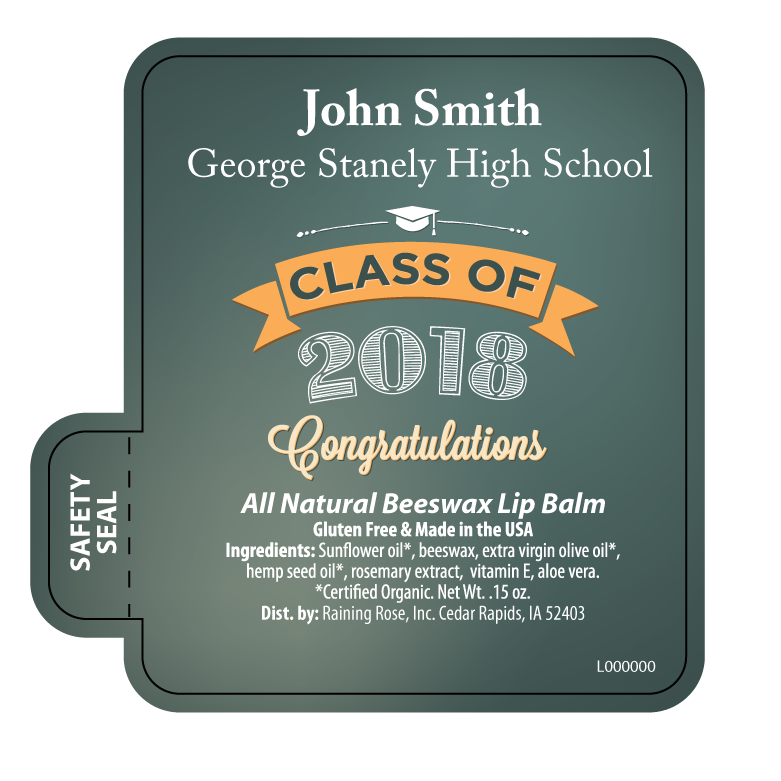 There is .15 oz of actual balm and the imprint area is 1.7" x 1.46"
You can select from the designs shown at no charge or have a custom design created for you for $25. If you select a custom design, select an image from this website and provide us with the design number via email.